Planning a wedding is a no joke! Between selecting venues, catering, rentals and honeymoons, there’s a lot to handle! 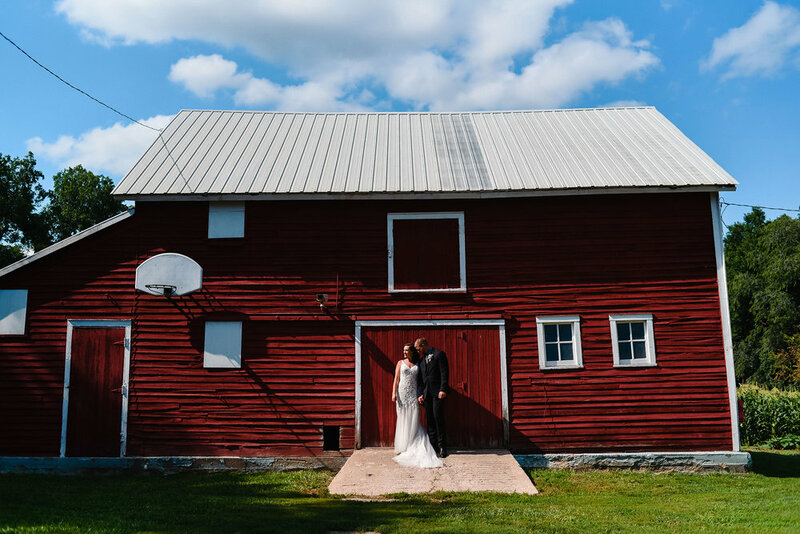 Additionally, there are a million wedding photographers in Omaha to choose from with different styles, so deciphering the best for you and your wedding is extra hard! 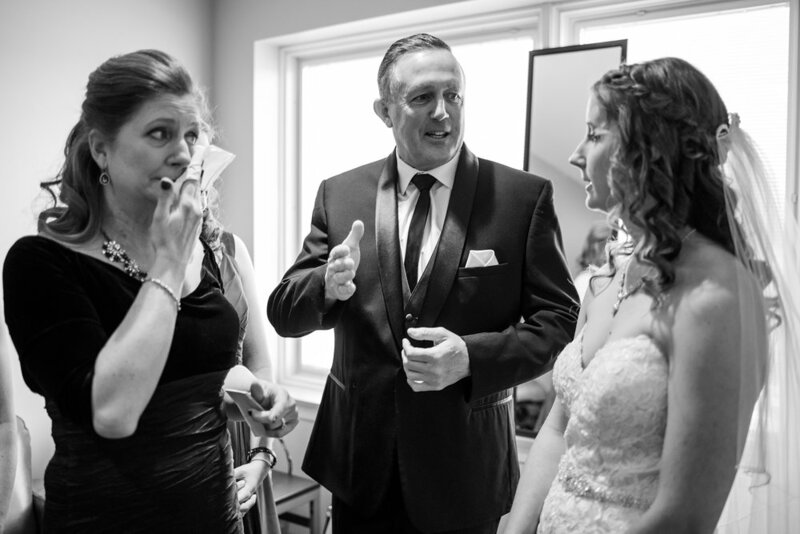 For us, we are documentary-based wedding photographers in Omaha. We document a wedding day with very minimal posing. In fact, the only time we pose you on your wedding day is when it’s family formal time and during our guided portrait time. What we’ve found, however, is that this can be a little...scary. When you’ve never gotten married before it’s hard to know what to expect from a documentary-based photographer on your wedding day. Or if you’re trying another round of marriage (cheers! ), you may have done things a little bit differently. It’s popular and common to shop for wedding photography and see a consistent flow of beautiful wedding portraits. And truthfully, we love a good one too. But, what we really, REALLY love are the moments. They’re the good stuff. The memorable stuff. The important stuff. The best news? Every couple can have a completely moment-filled wedding. Moments are not driven by big budgets and fancy plans. Moments are for small town weddings, ballroom weddings, dirt road weddings, and shotgun weddings. Moments are driven by people and the time you share with them. Your story and wedding day is just different than everyone else’s! You will have your OWN great moments, and we’re trained to see them! Our couples are normal, everyday people. Teachers, plumbers, artists, moms, dads, bankers, farmers- they are normal people that just happened to have some amazing moments unfold at their wedding. All you have to do is trust our process, and we’ll document your moments too. So - if you’re in a panic and want to ensure you have a moment-filled wedding, we’ve come up with some tips for you! Now, you don’t have to have a completely avant garde wedding. (You can...and you should invite us.) 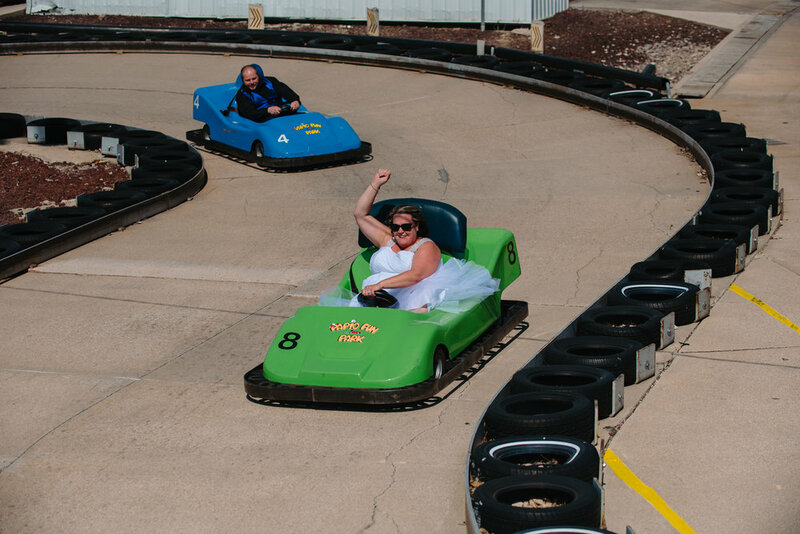 You can have a simple, midwestern wedding but still have fun things! People ENJOY doing stuff. Ask yourself: How do I get people to interact with each other? The point here is people will interact with each other if you give them something to do. Trust us on this one. 2. Give your bridal party something to do. We LOVE experiences. LOVE. THEM. You know who else does? Your buddies. Instead of an hour of cruising on a party bus hopping from pretty park to pretty park, go bowling! Go ride go-karts. Go the the driving range - throw axes. In a small town? Go play pool and foosball at your buddies bar, ride 4-wheelers - whatever! The time in between your ceremony and reception does NOT need to be an hour of portraits. It can and should be fun. Whatever you make it. 3. Be around those you want moments with. If your heart is aching to have memorable photos with someone, plan time with them. It’s worth every second. Have your parents drive you to the church. Have a first look with your grandparents. Exchange a gift with your sister. We can’t MAKE moments happen, but we CAN create windows of opportunity for them to happen by placing the right people together in an organic way. Remember, sometimes the most subtle interactions we have with our loved ones mean the most later on. Something will go wrong on your wedding day. Regardless of how perfect your day has been planned, weird things happen. Cakes get delivered to the wrong venue on accident, a blizzard comes, bridesmaids lose their shoes on the interstate, grooms get into fender-bender’s driving to the church. Trust us - we’ve seen everything. At the end of the day, you’re left with an amazing spouse and that’s all the matters. You just as well collect as many stories as you can and embrace the day as it comes. The moments you get will be priceless. We promise. Want to chat about having a moment-filled wedding? Let’s visit about it! Thank you! We’ll be in touch with you about your celebration soon! In the meantime, let’s be friends!